Point to Point Cabs (Non AC only) / not at disposal. Accommodation & Meal Plan (Breakfast & Dinner only). The home of the finest tea, Darjeeling is located in the eastern Himalayas, in the northernmost stretch of West Bengal that separates Nepal and Bhutan. This town is made for long walks, situated over a ridge and spilling down the hillside in a twisted series of interconnecting roads, with a cutting edge of colonial architecture, English cottages enclosing antiquated windows and smoking chimney, pathways cheered by mountain pansies, magnificent school buildings and churches. Chowrasta, the main town square, is lined with shops, restaurants, curio dealers and hawkers. After checking into a hotel and some refreshment, start your trip. 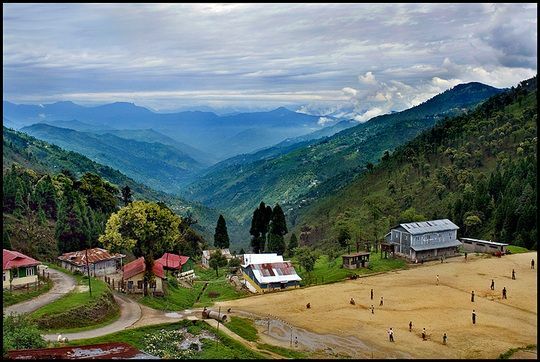 The Kanchendzonga range, the third highest peak in the world is omnipresent, and the town has every nook and corner positioned to get stunning views of the world’s most beautiful mountain peaks, with an unparalleled sight from dawn to dusk! 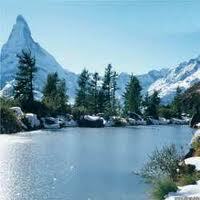 You may wrap yourself with mufflers and proceed towards Tiger Hill in this highest mountain in the area. Near Tiger Hill is the Yiga Choeling Tibetan Monastery of the Gelugpa (Yellow Hat) sect, also called the Ghoom Monastery which has a tall sculpture of Maitreya Buddha , with beautiful thangkas pasted on the walls. The monastery stores Tibetan translations of famous Sanskrit works, such as the Meghdoot by Kalidasa, Nagamandala by Sriharsa and Nyaya Krit by Dharmakriti. Nearby is another Yellow Hat sect monastery, the Samten Choeling. The Bhutia Basti is the oldest monastery, rebuilt near Chowrasta, with an unusual blend of Tibeto-Nepalese architecture of rare artefacts, including ancient Buddhist texts. The Mahakal Temple is worth a visit and is based on the original site of the Bhutia Basti monastery! 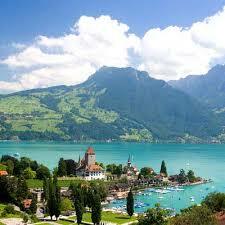 Return for an overnight stay in the hotel blasted by the wondrous sights of this epitome of charm! The Himalayan Mountaineering Institute has a Museum enclosed with exciting displays and records of some major expeditions. Next door is the Everest Museum, which traces the history of different attempts on the Everest. A rock climbing lesson can be taken at the Tenzing Norway Rock. The Padmaja Naidu Himalayan Zoological Park is known internationally for its breeding programmes of the endangered snow leopard and the red panda! 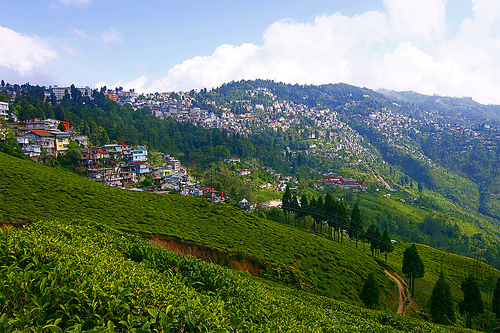 Tucked away in Darjeeling are some awesome gardens, shrubbery and parks. The Lloyd Botanical Gardens harbour Himalayan and alpine plant varieties, including flowers and the hothouse has a fantastic collection of orchids. The Darjeeling Himalayan Railway was considered a technical marvel as its tracks were constructed to rise from sea level to a very high altitude. Today, a UNESCO World Heritage Site, you can take a short joyride from Darjeeling station to Ghoom Monastery. In the vicinity of the Toy Train Station, you can visit the Dhirdham Temple, built pagoda-style, the Ava Art Gallery displaying exquisite embroidery, the pristine Japanese Peace Pagoda. The Gangamaiya Falls are a short drive from main Darjeeling and are ideal for boating during season with rows of restaurants selling snacks and meals, and on the same route lies the popular Rock Garden. Overnight stay at the hotel! For shopping, the Tibetan Refugee Self-Help Centre has Tibetans selling superb carpets, woodcarvings, woollens, thangkas and an assortment of curios such as wind chimes, brass and bronze statues, leather work and jewellery. Most of the bazaar is lined up with a trove of such treasures! 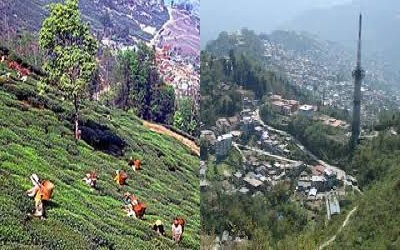 A must-buy, of course, is the Darjeeling Tea, which has an unparalled flavour and a divine fragrance, perhaps surpassing even the most delectable wine, and if possible, to squeeze a quick visit to the Makaibari Tea Estate, to enjoy plucking tea leaves or going for a hike and also purchasing from a direct source. There are plenty of food parlours and restaurants serving breakfast spreads, cold cuts, vegetarian meals, desserts, momos, thupka and the spicy Tibetan chilli chutney, homemade chocolates, éclairs, cakes, pastries and bread. Reach Pelling and check into a hotel! Pelling-Yuksom was considered a hamlet in West Sikkim, but with an eye-boggling bounty of mountains is developing into a town and a hill station with a steady influx of tourists. The place is absolutely correct for mountain walks and the stupendous view of the Kangchendzongpa can be viewed from the terrace of your hotel. The Pemayangstse Monastery has the name derived from `padma yang tse’ which literally means the `sublime perfect lotus’, and is linked to the Lama by the extraordinary masterpiece, the Sangtok- Palri, a model of the size of a doll house containing no nails, and put together only with wooden joints, representing a beautifully burnished and lacquered celestial city, teeming with divine and mortal beings, palaces, pleasure domes, gardens and pavilions. Have a peaceful sleep and relax your tired nerves as you spend your night at the hotel! Early morning, drive to Yuksom, the first capital of Sikkim, and you may stop at the vertiginous Rimbi Waterfall, getting you in a state of ecstasy. A walk along the High Street in Yuksom would bring you close to the usual clutch of shops, restaurants and boarding lodges. You may choose to climb up to Dub-di, the hermit’s cell on the right and then to the coronation throne, the Norbugang, on the left, including the Katok Lake nearby. Khecheopairi, or the `wishing lake’, an hour’s drive from Yuksom, invites tourists as it is situated in a bowl-like declivity with crystal-clear water and it is believed that the birds around do not allow even a leaf to fall on the wishing lake. On your way back, a peep into the Tashiding Monastery or `elevated glorious white rock’ would be advisable, as this particular site was miraculously elevated when Padmasambhava blessed the very land of Sikkim from this spot. The chief attraction here is the Thong-Wa-Rang-Dol,the holy chorten and the religious symbol of Sikkim, which is supposed to wash away all sins! Overnight stay at the hotel! Early morning, move towards the Rabdentse ruins, which are a brisk short walk from Pelling, and this puzzling area has ruins perched on top of a hill, divided into a palace complex and a public place with paved courtyards meant for the subjects. Sanga-Choling, the place of secret spells is a sturdy little monastery in its windswept eyrie as you are subject to viewing colossal figures painted all over the walls and housing ancient manuscripts. Return to the hotel by early afternoon drenched in the sublimity of this environ, and leave for the airport to catch a flight to your place of residence! For shopping, the famous hand-carved wood tables, carpets, blankets, shawls, prayer rugs, thangkas, vividly coloured mugs and tea cups, yak-bone ornaments and some delicious food preserves, like chutneys and pickles. There are many eateries serving, Chinese, North and South Indian, and Bengali food with a huge array of snacks and fast food, both sweet and savoury! Sikkimese Chhaang, or the home-brewed demanded hot local beer , is available in tea stalls and also in the hotels, a nouvelle culinary experience!